How may we help you? 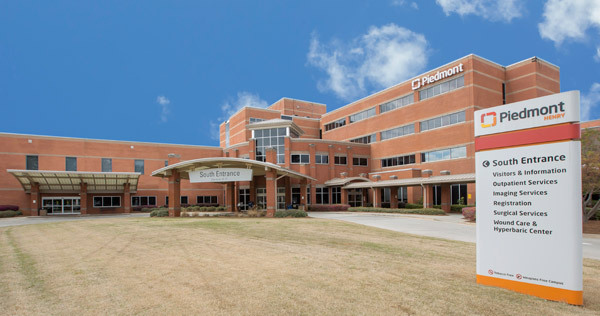 Whether you’re a patient or visiting a patient at our Midtown Campus, your comfort and needs are important to us. 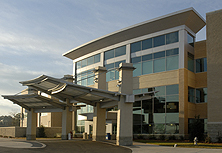 Parking is available in guest parking areas directly across from the main entrance of the hospital on Center Street and at the 18th Street entrance. Pastoral Care services are available for supporting patients and families in challenging times. A chapel service is held Monday through Friday at 10:05 a.m. in the Chapel, located on the lobby level at Midtown Campus. A chaplain is available to provide non-denominational pastoral care, support and counseling, and works closely with community religious leaders of all faiths to provide pastoral services. The chaplain can contact your minister or appointed spiritual leader or arrange a visit from a religious group of your choice. 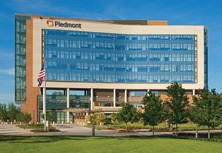 Guest Relations staff provides directories, wheelchair transportation, as well as information on the location of patients. We are here to answer any of your questions or concerns. Call our Guest Relations Department at (706) 660-2962. 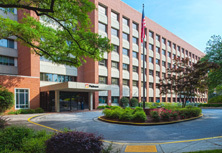 Our Midtown Campus provides a folding bed service for overnight visitors of patients in private rooms. (Visitors may not spend the night in semi-private rooms.) This service is free to all patients and is based on space availability. If your physician or charge nurse approves the stay, your nurse will secure the bed for you. Fresh linens are provided. 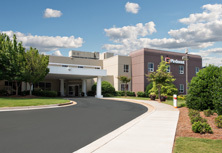 Ronald McDonald House of West Georgia is a home-away-from-home for families of sick or injured children receiving treatment at our Midtown Campus. The house is at the intersection of 20th Street and Hamilton Road, just two blocks north of our campus. Families who are eligible to stay at Ronald McDonald House must be referred by the Social Services department. For more information, call 706-321-0033. 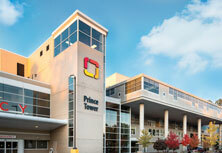 Our retail pharmacy at the Midtown Campus is on the 2nd floor across from registration. Contact Security by dialing 0 on a hospital phone. An ATM is located directly across the hall from the gift shop on the lobby level. We have two dining facilities that offer a variety of food, as well as vending machines located on the first floor, which are available when dining facilities are closed. The food court is on the first floor of the Midtown Campus, offers main courses along with salads, fast food items and desserts. The food court is closed on Saturdays. Monday - Friday Lunch -- 11 a.m. to 3 p.m.
Sunday Breakfast -- 3 a.m. to 10:30 a.m.
Sunday Lunch -- 11 a.m. to 2 p.m.
Sunday Dinner -- 4:30 p.m. to 11:30 p.m. The café is on the lobby level of the Midtown Campus. The café offers Chick-fil-A and fresh grill items and is closed on Sundays. Monday - Saturday Chick-fil-A and Fresh Grill Breakfast -- 3 a.m. to 10:30 a.m. Lunch and Dinner Fresh Grill -- 11 a.m. to 11 p.m. Lunch and Dinner Chick-fil-A -- 10:30 a.m. to 10 p.m. The Flower Shop at the Midtown Campus is located in the Professional Tower, 1st Floor (across parking lot from Conference Center). The gift shop at Piedmont Columbus Midtown Campus is on the lobby level. The Auxiliary department manages the gift shop and gives 100% of its profits to Piedmont Columbus Regional. Saturday - Sunday: 1 p.m. to 6 p.m. Call us at (706) 571-1481 for more information or phone orders. The Simon W. Schwob Medical Library at the Midtown Campus, on the 4th floor in the Educational Tower, is open Monday to Friday, 8 a.m. to 4:30 p.m. The phone number is (706) 571-1179. The library offers a variety of resources for research on medical and health care topics, including textbooks and journals, online health information, information specific for health care professionals, information for consumers, clinical research, classroom preparation, university study and personal health issues. Materials may only be used in the library. Photocopies cost 10 cents per page. (Please bring change.) A librarian is available to guide visitors to the best resources. The John B. Amos Cancer Center, at 1831 5th Avenue near the Midtown Campus, features a cancer health library offering computer access to cancer health databases. Patients, family members and visitors are welcome to access the latest information on cancer-related topics. 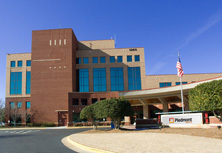 For patient information, call (706) 571-1000.